Wind Stone Constructions, S.A. DE C.V.
Gamesa, a technological leader in the worldwide wind industry, has been helping to develop wind farms in Mexico since 1999. In 2015, they received orders from developers Mexico Power Group to build a wind farm located in Zacatecas, Mexico. The construction of this 130-MW wind farm is located in Central Mexico outside the City of Zacatecas. The 130-MW wind farm will have (65) 2 MW turbines constructed to produce power using a clean and renewable source, helping to diversify the country's energy matrix. The power generated by the wind farm will be supplied exclusively to Volkswagen's factories in the cities of Puebla and Silao. In preparation for the turbines, which are slated for delivery in 2016 and commissioning to be completed by 2017, wind mill foundations were needed. Contech Engineered Solutions provided the caisson material supported in Patrick and Henderson Inc. (P&H) Pier foundations design. 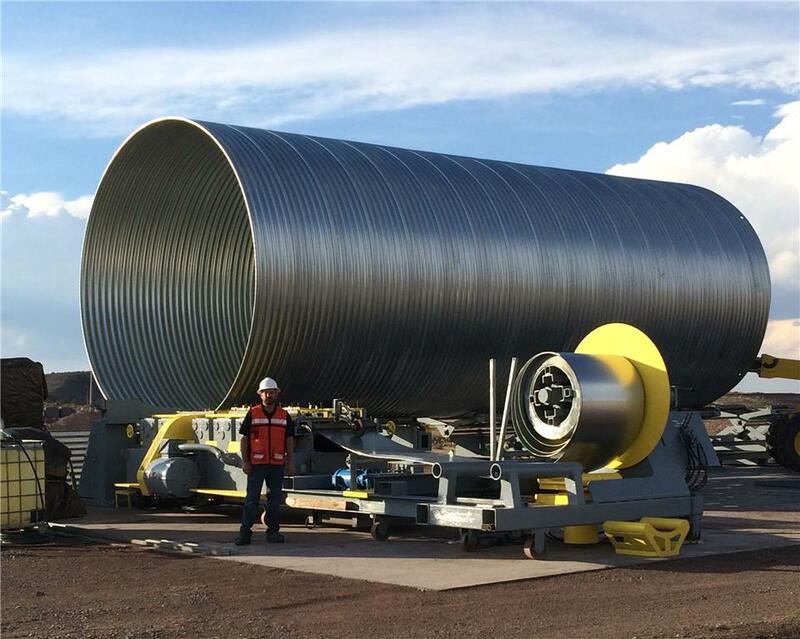 Contech provided (65) 192-inch diameter HEL-COR® CMP caissons at 34’ linear feet and (65) 144-inch diameter caissons at 33’ linear feet. 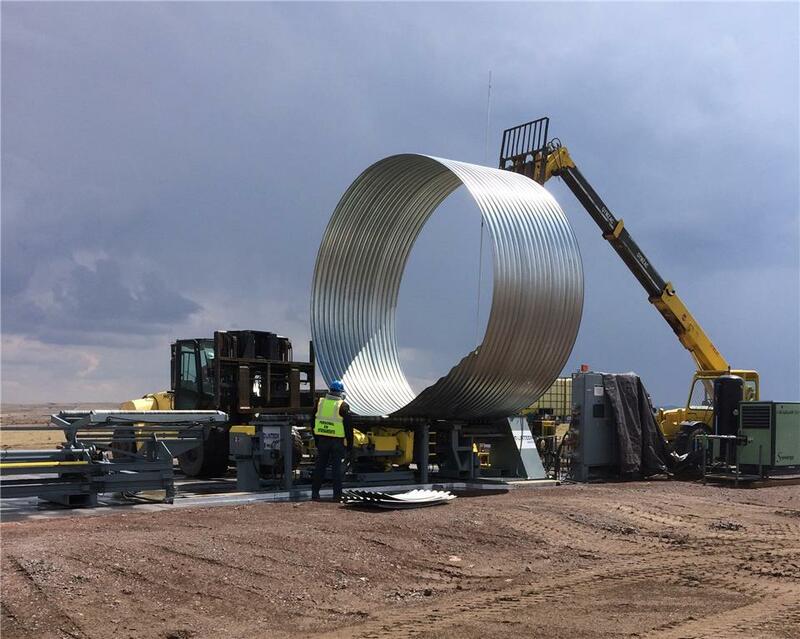 Given the remote location and transportation issues caused by the 16’ diameter requirement, Contech was able to support the manufacturing of the P&H Pier Foundation caissions through its MOBILE PIPE® modular mill. The onsite production was a substantial cost-savings while alleviating the transportation concerns that the Mexico Power Group were facing. Outside of the immediate environmental benefits, the initiative will also generate 300 direct jobs and another 600 indirect jobs during the construction phase, along with another 60 permanent jobs for the operational phase of the project.